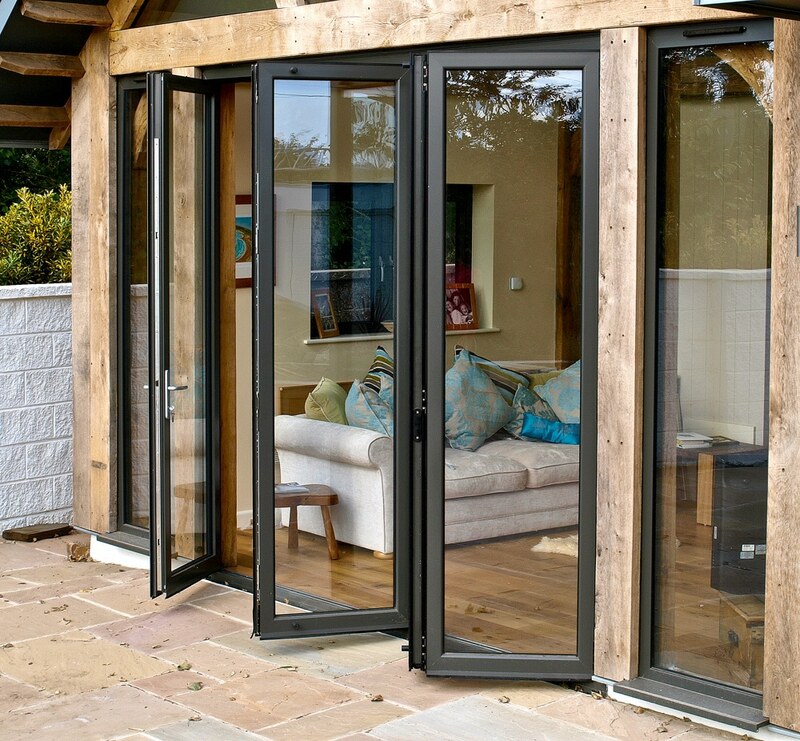 BiFold doors are a modern, elegant, secure, thermally efficient and effortlessly smooth new style of bi fold door on the market. 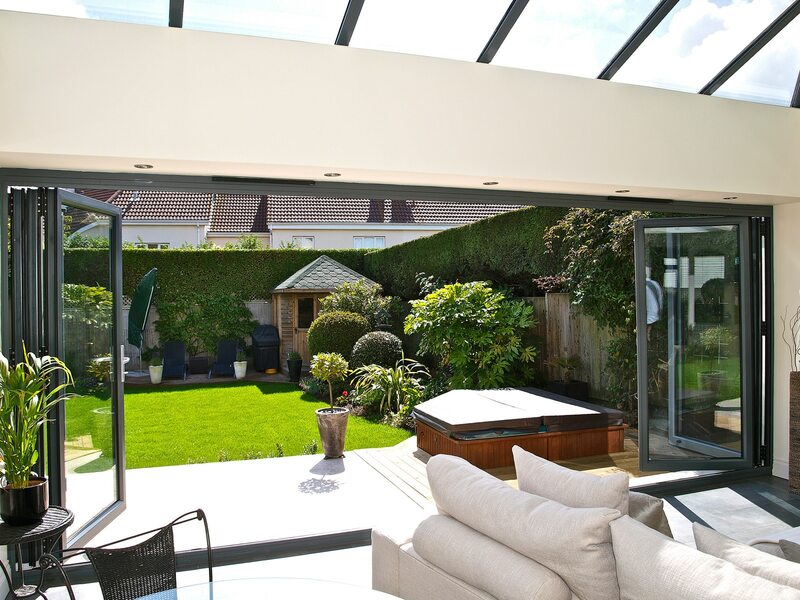 We use a unique system Slide and Glide system that allows us to transform your living space in seconds. 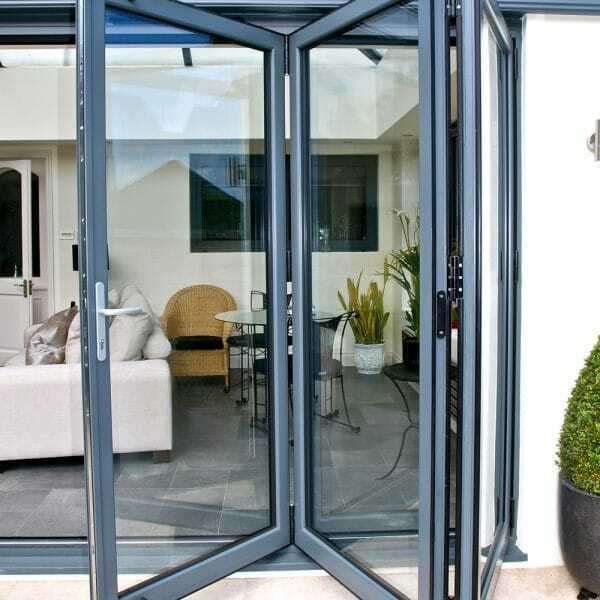 Our Slide and Glide secure folding door technology BiFold doors are rapidly becoming one of the biggest selling products in many homes today. 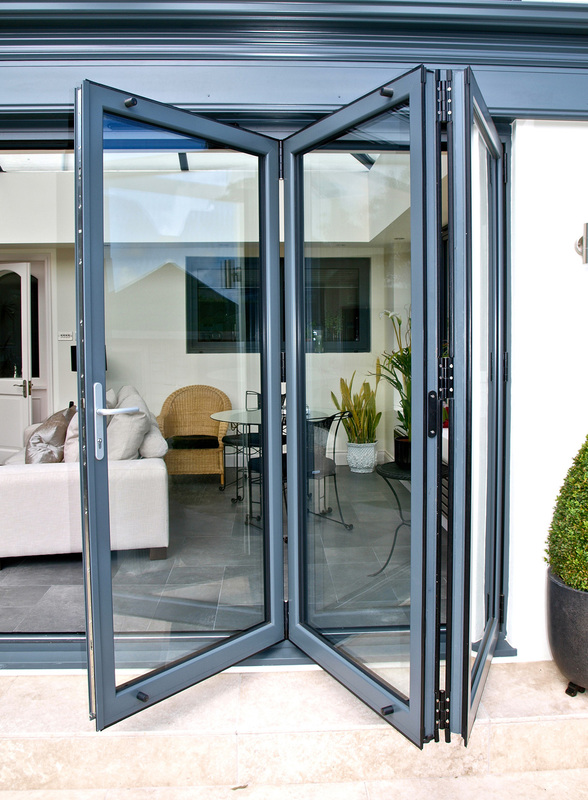 BiFold doors are emerging in the Home Improvements market. 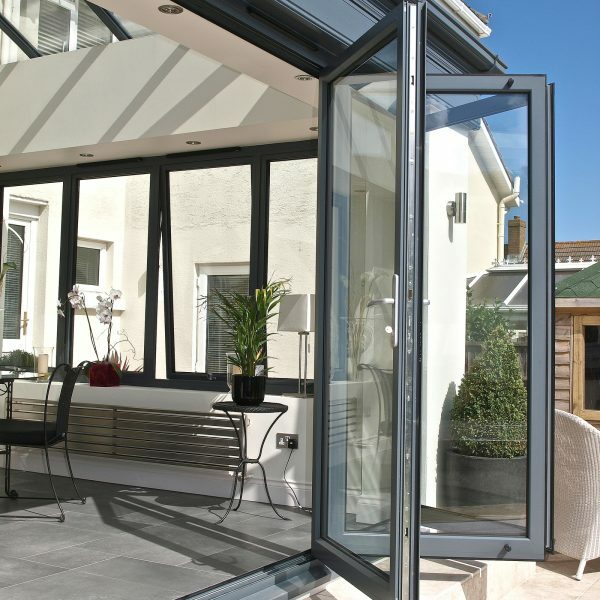 Our Slide and Glide Bi Fold doors products are slimline, stylish and strong. 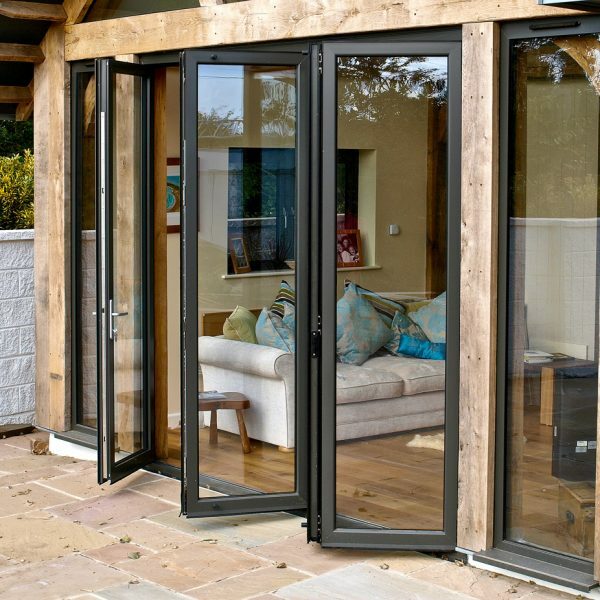 They feature sturdy and reliable sliding wheel mechanisms and slimline flush fitting retractable handles, features only provided with our unique Slide and Glide Bi Fold Doors system. 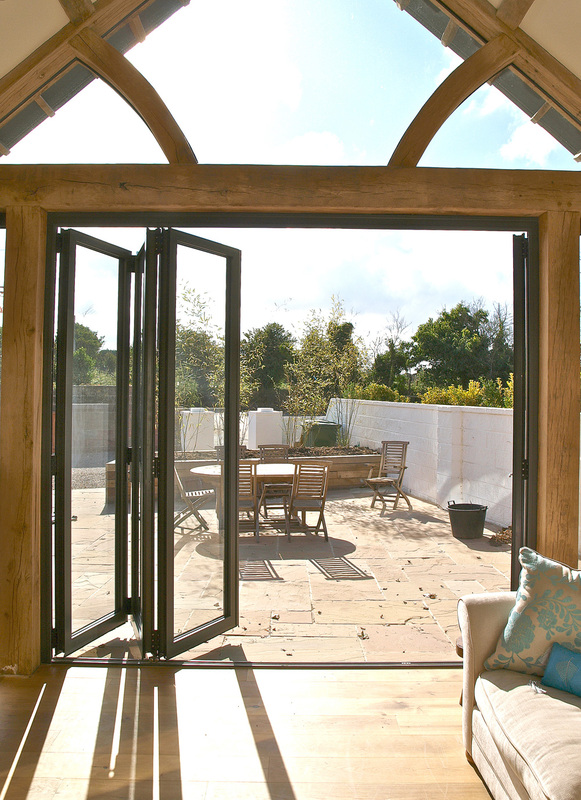 Our range of Bi Fold doors enables you to brighten, expand and remake your home and living space to new depths. 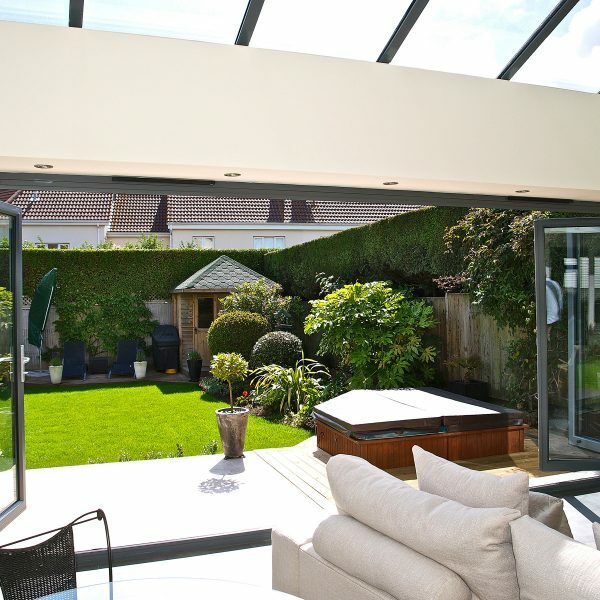 Gone are the days of cold spots, condensation, less energy efficient and one dimensional colour. 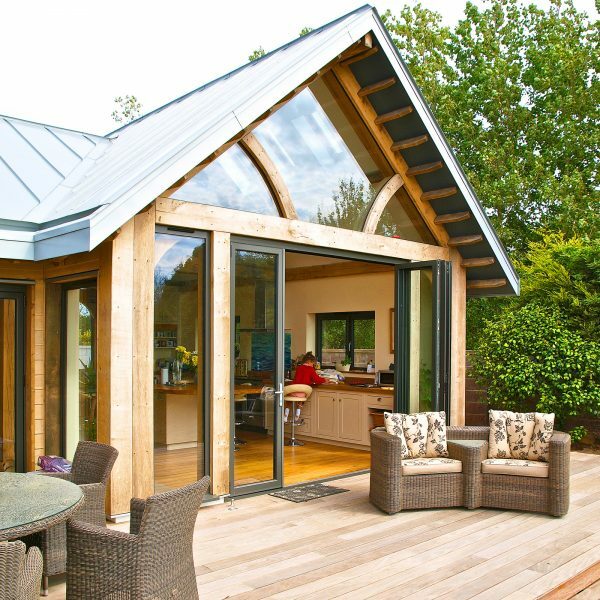 You can choose practically any colour range from the spectrum! 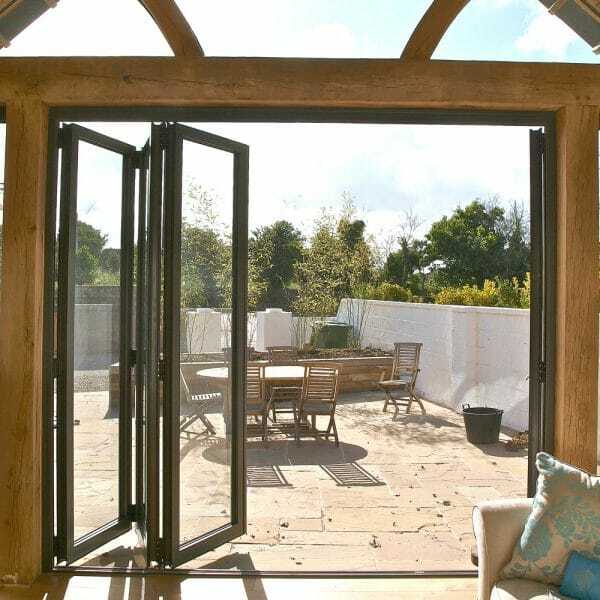 Our BiFold doors are built using one of the world’s most sustainable building materials available, Aluminium, lightweight and very durable. 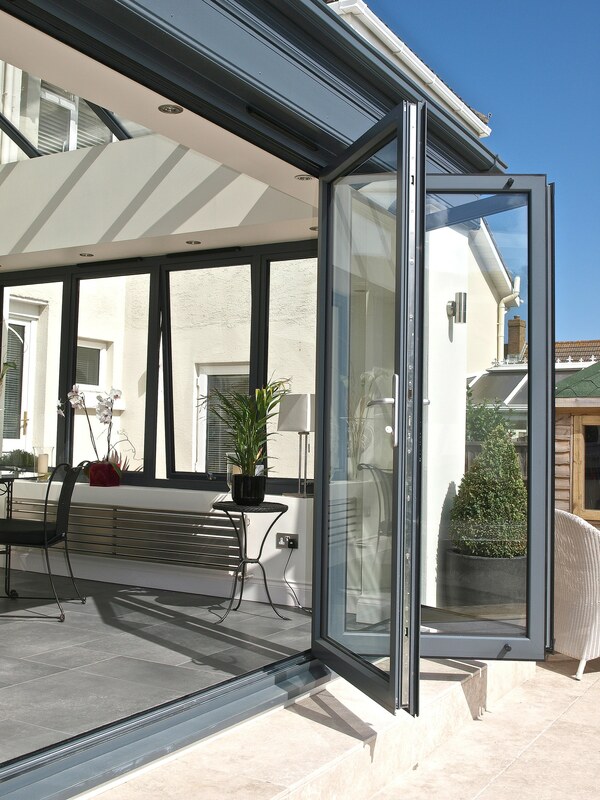 The Slide and Glide Bi Fold doors system also add that additional security. 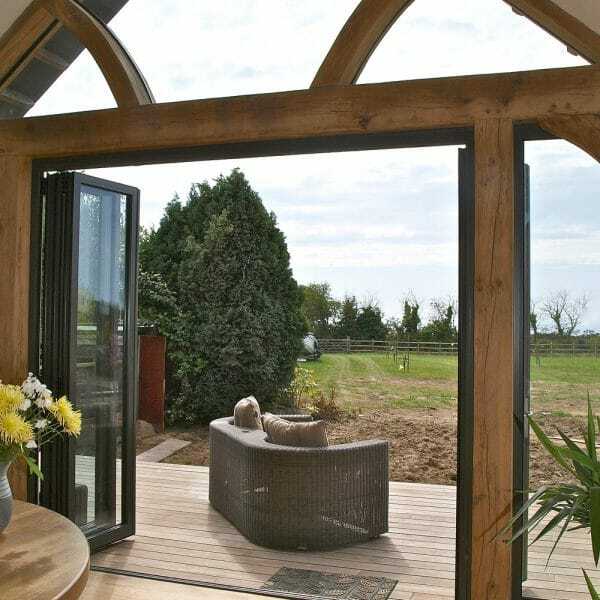 Our BiFold doors have the highest thermal performance and exceed current building regulations. 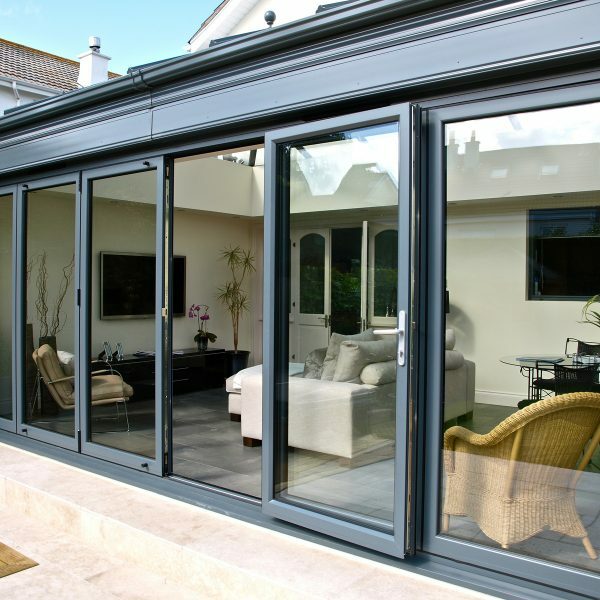 Parts and components supplied by one of the UK’s leading Aluminium specialist ALUK. 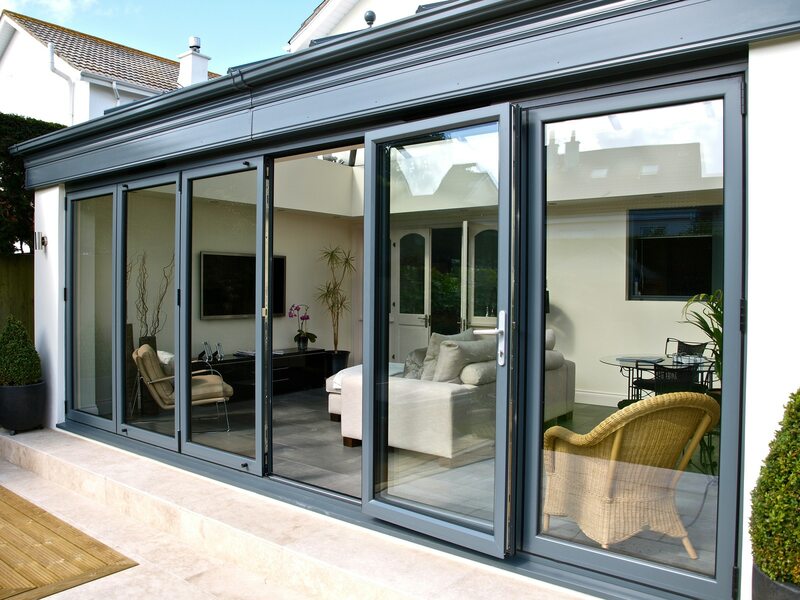 Get in touch today to find out more about A-Rated Slide and Glide Bi Fold Doors and to see what fantastic offers we have available. 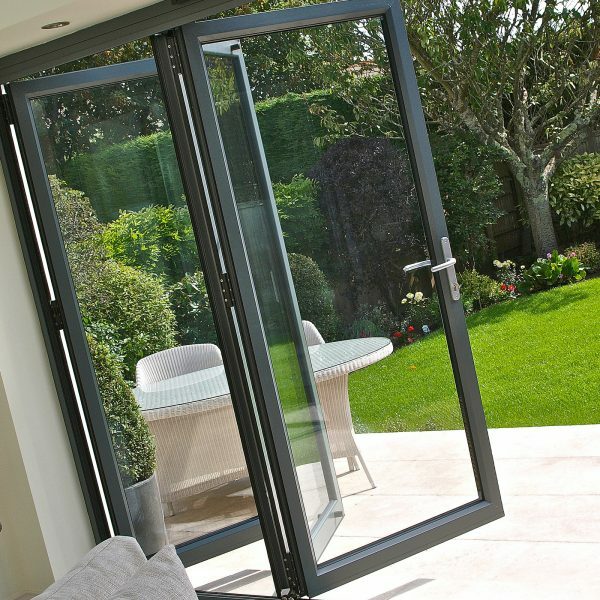 FREEPHONE 0800 854 803 to speak with a member of our Windows Specialist Team today. 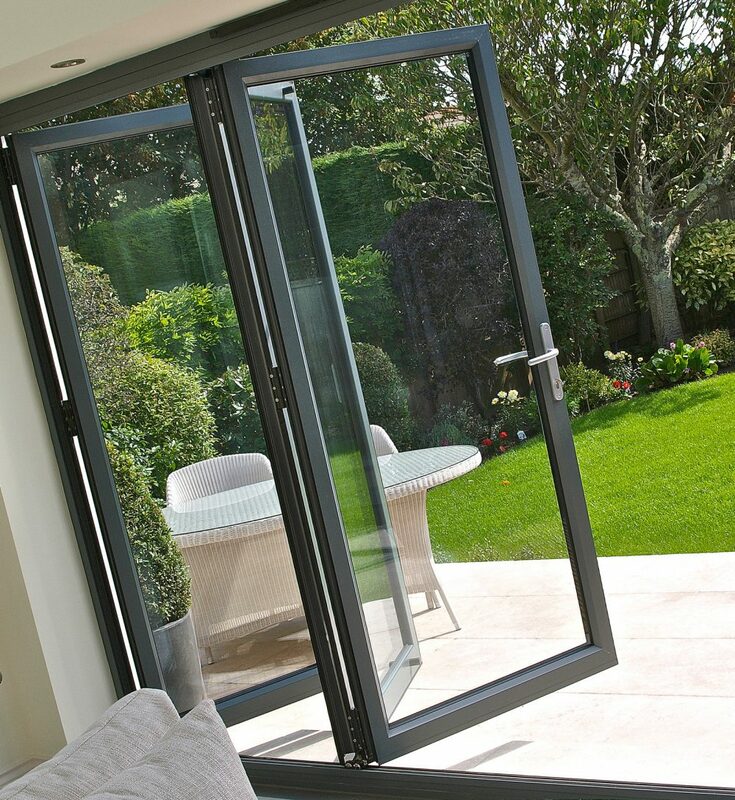 Simply fill in your details below to receive a Bi Fold Door brochure. 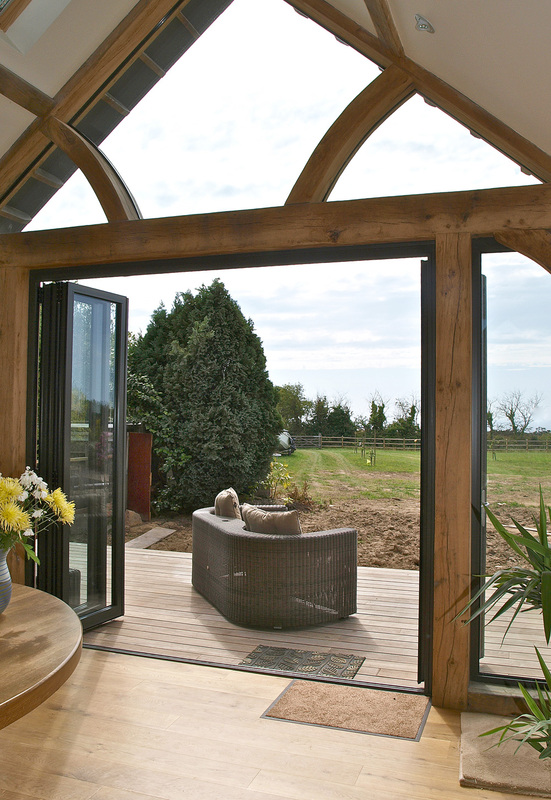 Send us your preferred day and time online today.